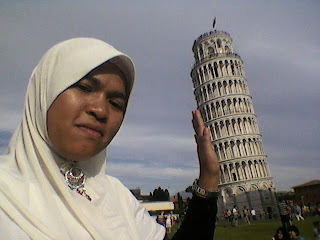 See, I can stop Pisa from falling on the ground with my bare hand!! huhu....This is the last trip in Italy! We headed to Pisa. It's a quiet and small town actually. Nothing much here but PISA. Who needs other attraction, rite? Here you can see people trying all kind of pose with Pisa Tower. You can also go inside Pisa Tower for 15 euros. There is actually a tomb beside the Pisa Tower. See Pisa Tower peeking behind the tomb? Cute, huh? 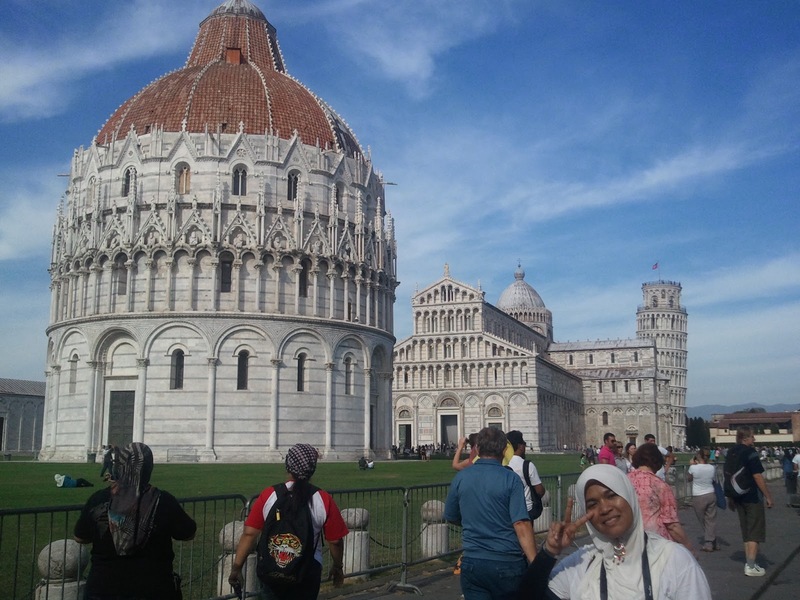 So, that's all about my trip to Pisa. Nothing much, really. But the pix with Pisa is really worth it. Next stop is S.W.I.T.Z.E.R.L.A.N.D!! !